Still trying to master (or at least learn) the Tammy 150-600mm. So I've been spending some time at the local Wildlife Reserves. Yolo outside of Sacramento is okay, but the Merced Refuge and San Luis complex are the best. Here are a few taken during this week. Lots of Canadian and Snow Geese flying, landing and loudly gabbing. But these two seem to be in a world of their own. 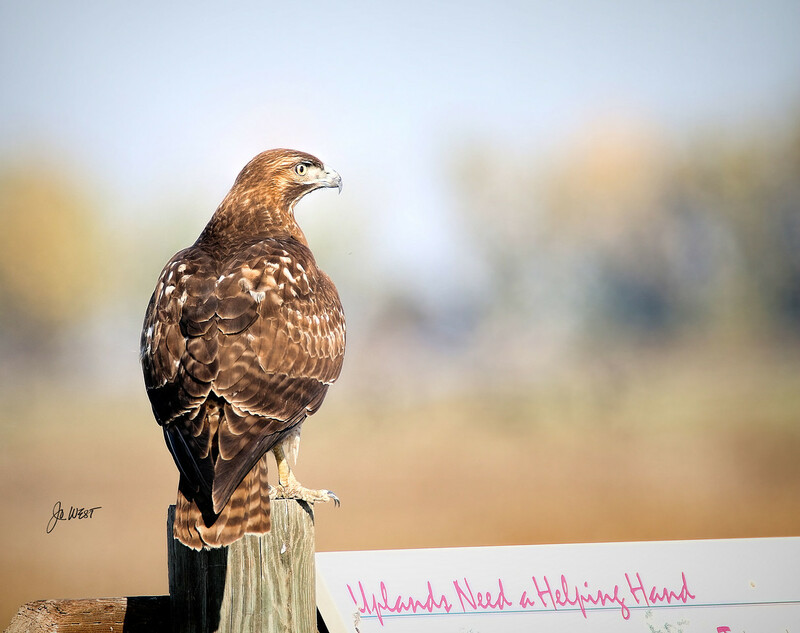 This guy posed for me on one of the information signs....seemed fitting. Then I went through the Tule Elk refuge and found some likely suspects. Excellent shots, Jo. 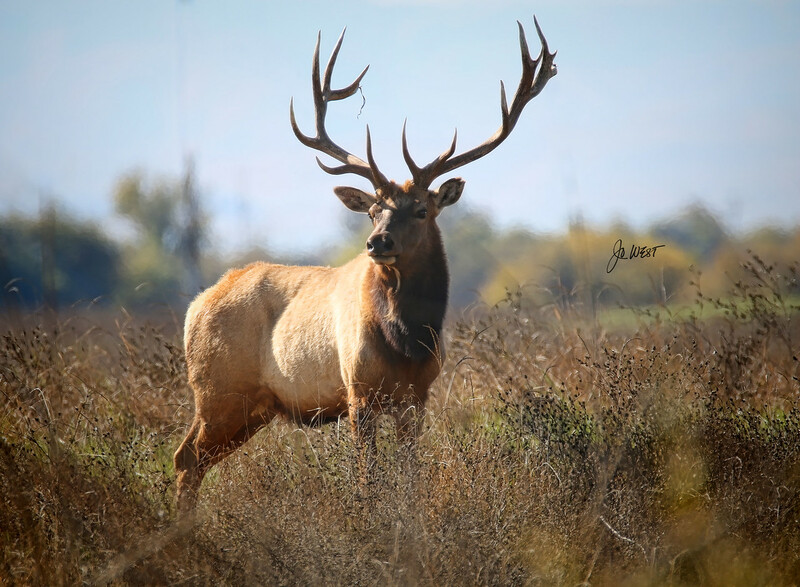 That solo elk is a wall-hanger! Sensational series. Extremely well done. Thank you for your kind comments, Kdog and Tony. I'm having fun with the Tammy, but it is a challenge! Wonderful series! The first is my favorite. Thanks Phil and Denise. Denise, the first is my favorite as well - these snow geese are a hoot to watch (or is that a honk to watch?). Phil, not sure if the rut is over or not - I think it is still ongoing. But these two guys were co-existing and guarding a small herd of does. Maybe cooperative existence? Looks like you're dialed in with that lens, Jo! 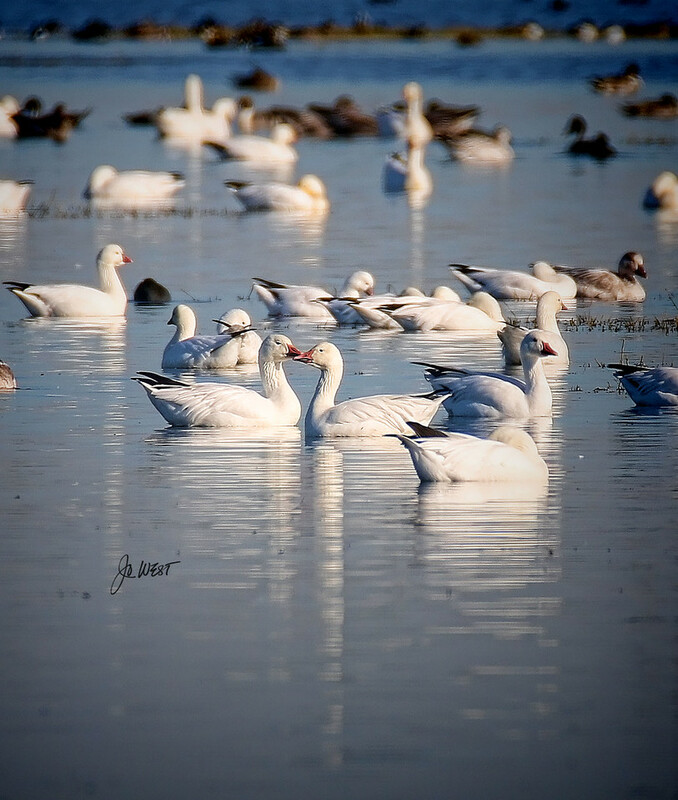 Love your snow geese shot! Wow Big Score! I am inspired.....Cheers! Thanks Tony (Limpopoboy). I've been enjoying your site and blog. I'm loving the shot of the Bushbuck antelope! Great captures. About the lens: Do you have any experience on bif-photography? Is the auto-focus fast enough? Jergen, thanks for the comment. I am still relatively new with the Tamron 150-600 and only have tried to capture birds in flight a couple of times. The problem I have is trying to compose the shot while moving with the bird and remembering to not shake the lens, or get too excited to get the shot and move too fast. I am much more comfortable shooting the birds while resting or swimming. I do believe that the auto-focus is fast enough for BIF, I just haven't concentrated on that just yet. For some better examples, you might try looking at the Tamron 150-600 Facebook page (https://www.facebook.com/groups/Tamron.150.600mm/) - this site includes lots of BIF shots, some better than others. There are some great examples and discussions on the page. Thanks again and welcome to DGRIN! Last one is cool Jo! Thanks a lot for your answer. Your examples are all right, but not enough to judge the lens. For the moment I am trying with my Canon 100-400 mm (2. edition) to catch a Northern Hawk-Owl on the flight on short distance to get some in flight close-ups. This is a challenge! With 600 mm I will get a litte more time to react and I have considered to buy the new Tamron lens, but have been told, that the auto-focus is not fast enough. So I am collecting every information about the lens I get a chance to take hold of. I have not yet visited the facebook book page, but will do it now. Welcome to dgrin, Jørgen!! You have posted lots of lovely wildlife images. I own both the Canon 100-400 v2 and the original Tamron 150-600 VR lens. I find I tend to favor the Canon glass, mines seems a bit sharper at the long end than the Tamron. I have not tried the latest, just out, Tamron 150-600 though. That said the Tamron is quite capable of good images if used properly, and I enjoy its light weight and long reach, especially on a crop body sensor camera. Both lenses are a bit slow in aperture at the long end, and this slows the AF in dim light - before sunrise or long after sunset. You'll have to check the exif data as several lenses were used, including a 500 f4, but there are a lot of Canon 100-400 v2 and Tamron 150-600 shots in those galleries. 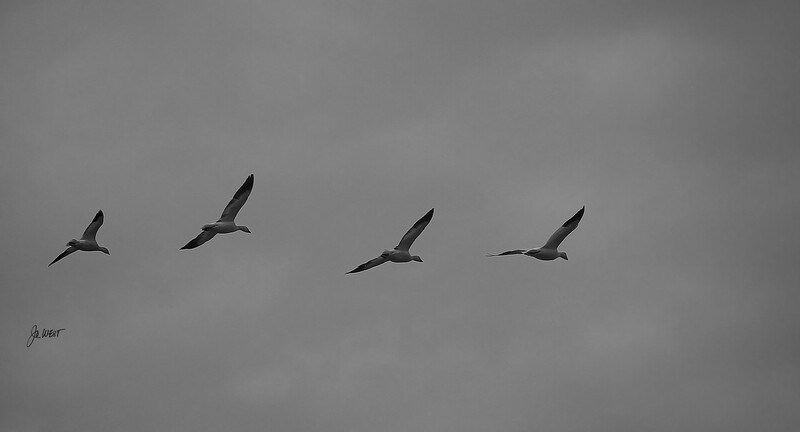 I have used the Tamron 150-600 to shoot lots of birds in flight, as well as air shows, so it is capable if the photog is. Capturing raptors along smooth glide paths is much easier than following song birds or hummingbirds in flight though. Some birds in flight are definitely harder to grab than others. AF is much easier in bright sunlight too, than dim, grey overcast days. A good tripod and a Wimberley style head can help a lot too, even with the light weight Tamron lens.